Multex2Move and Multex4Move are impressive due to excellent printing results. The new extruder generation Multex2Move is just about to be launched onto the market. 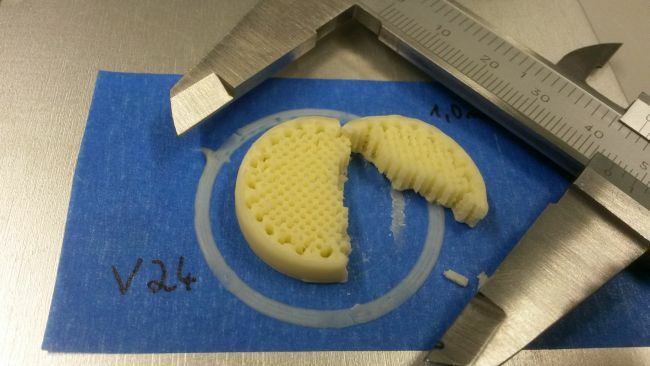 The printing results are absolutely ooze-free, thereby implementing material separation unknown up until now. 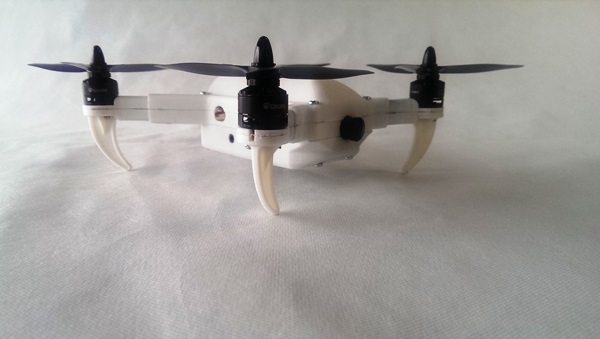 Both parts, the gyro as well as the spindle and nut are dual printed as a single piece with various colors. 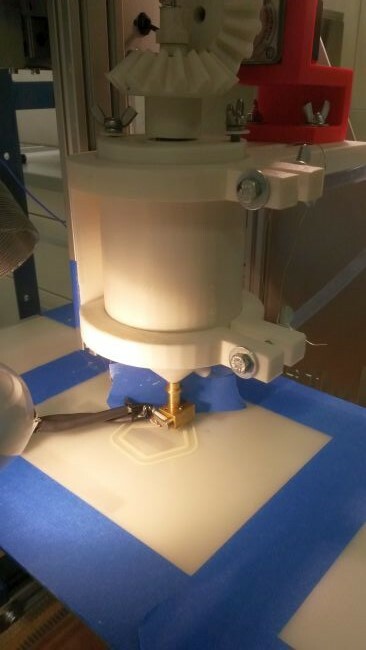 The first unit is already in operation and meets industry standards, both for 3D printing as well as for milling. The first unit will be available at the end of 2016 and has a printing / milling area of 300 x 400 x 800 mm. 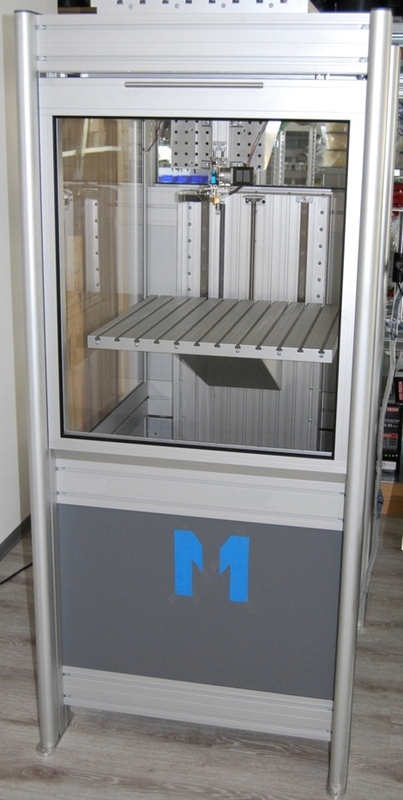 More sizes will be available during the middle of 2017; the Multirap M1000 will be launched with an area of 1000 x 600 x 1000 mm for industrial applications. Naturally, the worldwide debut of the new patented multiple print head, Multex4Move, for four-way prints and up to 100x the volume rate will be maintained due to the large nozzle inserts combined with fine nozzles for the outer surfaces of the items printed. “.. In general, I currently print all my parts using your PLA-HT material. 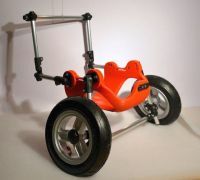 The main advantage lies in the easily detachable support material and good mechanical properties. I primarily print out equipment parts, my various round plugs, freely formed plugs, problematic shapes, etc. There is also the sector for assembly-room dummies. In my case, I print out complete exhaust manifolds for installation and to be used as manufacturing test runs. Currently, I am running a trial to produce tools for sheet-metal forming using a special system and your material. Te first trials have been promising. The material has a special level of elasticity and spring-back effect that makes that possible....."
Multec develops world innovations in the field of extruder technology! 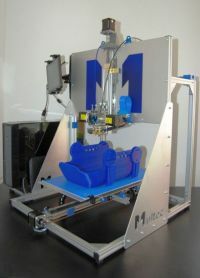 With the development of the Move-generation extruder, which is unique on a worldwide level, Multec is taking FDM 3D printing technology to a new dimension. 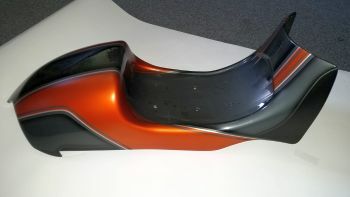 Thereby, with it, up to four different plastic types or colors can be combined in a single print run! This makes multicolored printing possible without dripping or oozing since only the active nozzle moves into the print position and all nozzles are parked into position and cleaned prior to printing. The new compactly designed Move Extruders are currently undergoing a test phase and have been submitted to the patent office for a patent application. Multirap owners will especially benefit from this new development, which is capable of being upgraded. The new extruder generation will be offered to them at a special price upon being launched onto market. 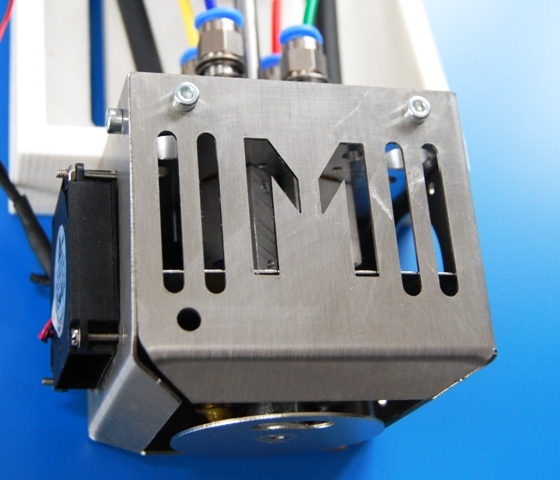 For third-party printer customers, Multec is also offering an extruder upgrade. 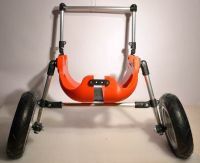 The weight-optimized breastplate of the dog wheelchair is an ideal example for highly resistant and stability-optimized printing. The force exerted when passing over rough and smooth surfaces is intrinsic in nature and the first breastplates we designed were quickly taken to their limits. For this, there is a tutorial provided by multec on how to optimize the weight of parts, thereby still provide a high level of stability. In principle, the highest level of layer thickness combined with wide layer widths offer the best level of stability in any case in the field of 3D printing. Here, the layer adhesion level is at the best level and the densely position threads are also naturally optimized with regard to tensile and bending strength. 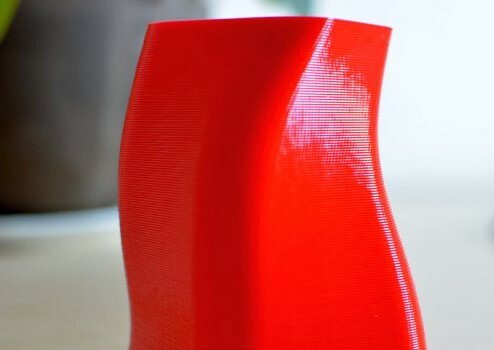 The higher the layers are located during FDM printing, the more solid the printed parts are and the higher the level of stability and strength are. 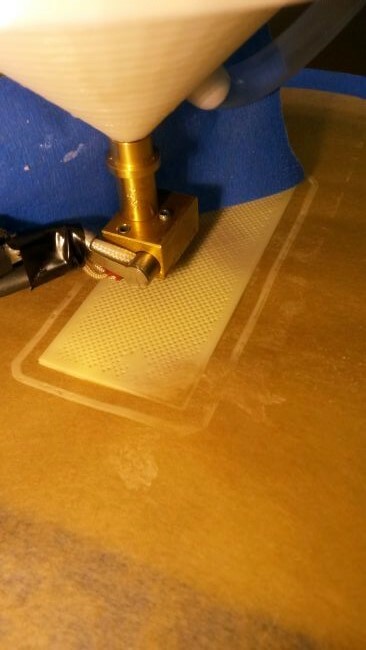 Here, stable layer adhesion takes place over a wide level of width. Even thin-walled parts are extremely resistant in this way because the adhesion of the layers is excellent. 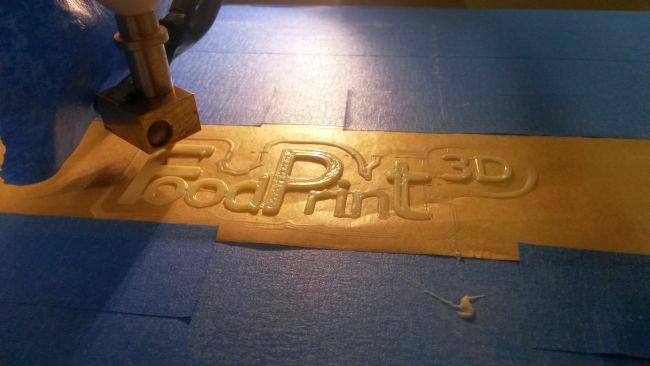 Print out your homeland in 3D topology! 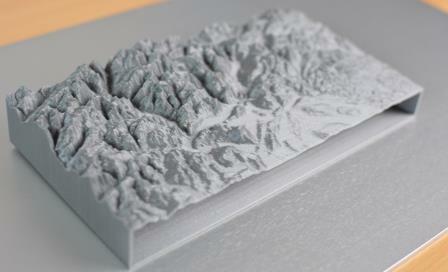 Here, the Swiss Alps are printed using the Multirap M420. Great new functions for more overview, more user options and with pre-programmed macros. 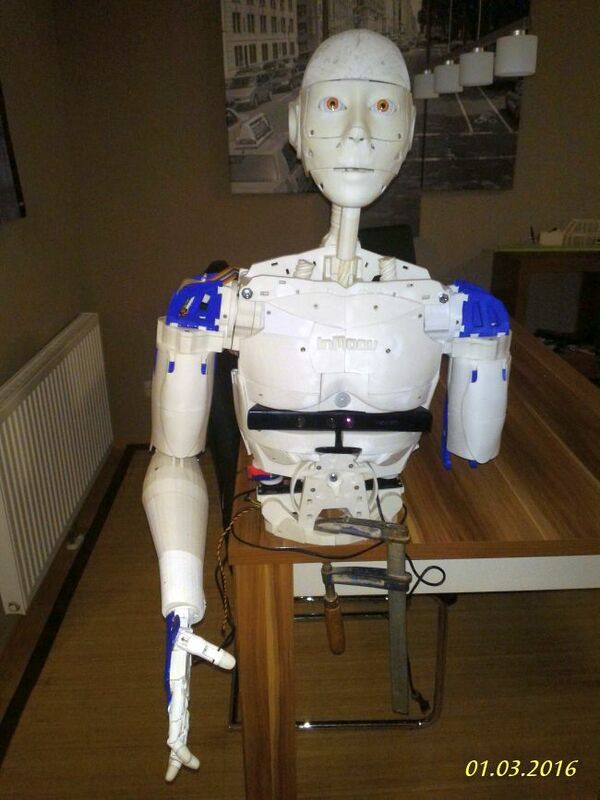 Mr. Roland Scharl and Mr. Jürg Maier presented their InMoov robots using photos and videos. We are pleased about the consent granted to present these great projects. Both have (without knowing it from each other) printed the InMoov in PLA-HT on their Multirap M300. Mr. Maier presents his InMoov "Marvin"
Multec customer, Roland Scharl, shows photos of his robot. 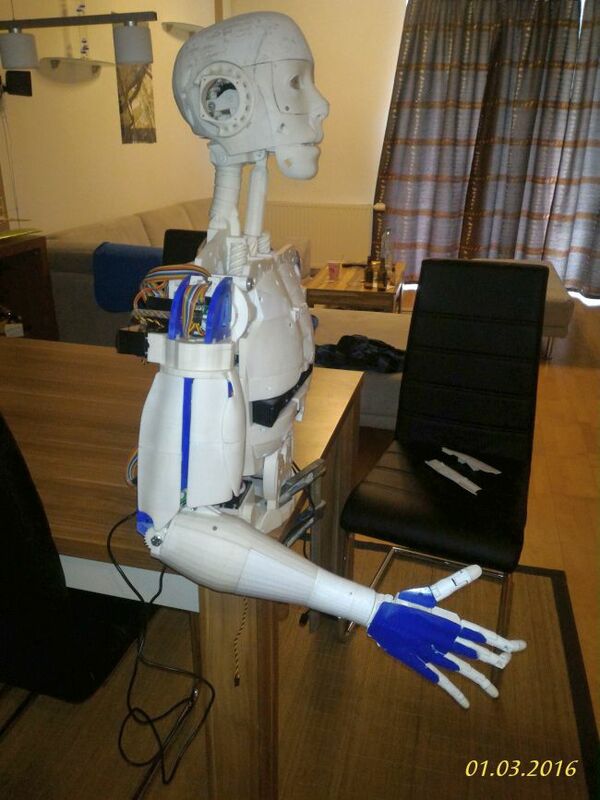 We are delighted with Mr. Scharls complex robot project that impressively shows what can be produced using our Multirap 3D printer and Multec filament, as well as what type of functional components and design elements can be made from 3D printed parts. 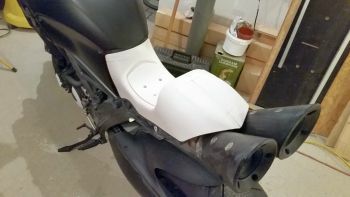 Since the InMoov robot inspired us so much, which two Multec customers printed on their Multirap, we are giving a few tips in our latest tutorial using InMoov components as an example. 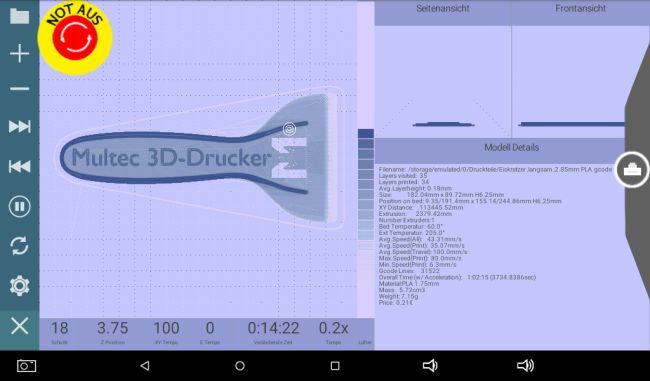 According to Professor Siegfried Bolenz and Mr. Tobias Franke, the University is planning to make the project available as open source. A great project; we thank Mr. Tobias Franke for the photos and we will continue to report on this. ideal for it, being a food-safe, temperature-resistant and impact-resistant material. 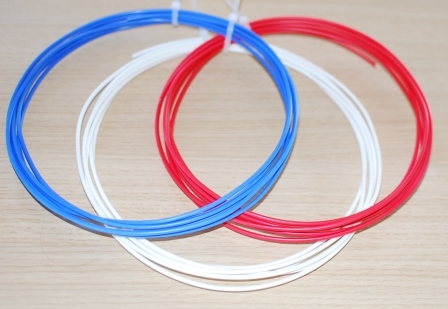 Our top seller PLA-HT with its enormously high level of impact resistance (50% higher than ABS) and its high level of temperature resistance is unique within the filament market. 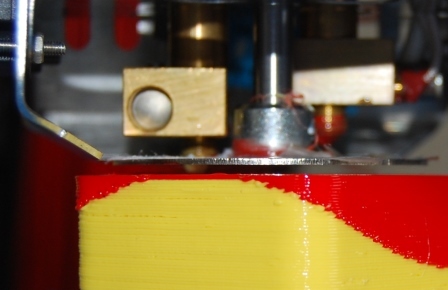 The printed image of colored PLA-HT is impressive due to its matte evenness. Due to this, the FDM groove structure is practically invisible in the case of fine layer heights. 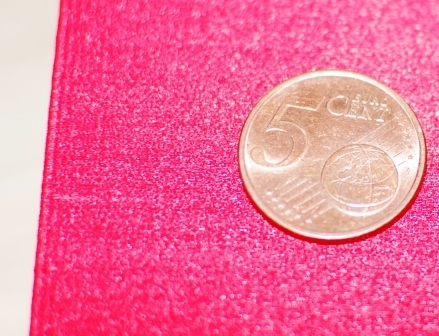 The surfaces that can be produced are absolutely even. 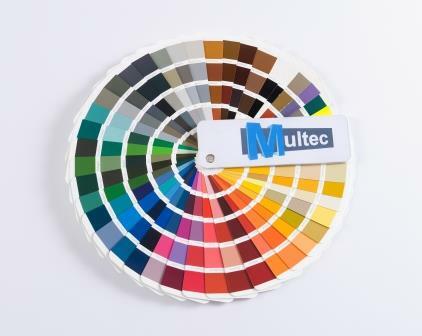 Multec is now expanding its color range to include blue, red and black; other colors are currently being tested. Of course, food-safe and in excellent and proven Multec quality. You have desired colors in RAL color shades? You would like to print out your models in your company colors or desired colors? Multec will produce your desired colors in reliable Multec filament quality PLA starting at a purchase quantity of approx. 15-25 kg. Depending on the desired color, we can make a proposal for you regarding color and purchase quantities. 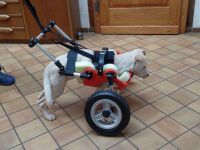 Luisa the dog was born without front legs and, thanks to a wheelchair from a 3D printer, is now conquering the world. Without the walking aid, the female puppy can only crawl and scrip about as she moves. Test report on Multirap M420 by ELV Journal. The ELV team has subjected our Multirap M420 Duo with a 12V heated bed to extensive testing; Read more here. By means of the collaboration with a renowned German manufacturer, at the end of August, we will be able to supply you with our own Multec filament with a continuously good, high-quality materials and manufacturing standards. We are pleased that we have won 2nd place at the Schwäbischen Zeitung 2014 Founder Award. 54 companies applied for the sought-after distinction of the Swabian media that increases prominence on a regional level and sends a positive signal to customers and partners of the winners nationwide. You can view our German Founder Award company video by the newspaper, Schwäbischen Zeitung, here. Pictures from the German Founder Award ceremony can be viewed here.